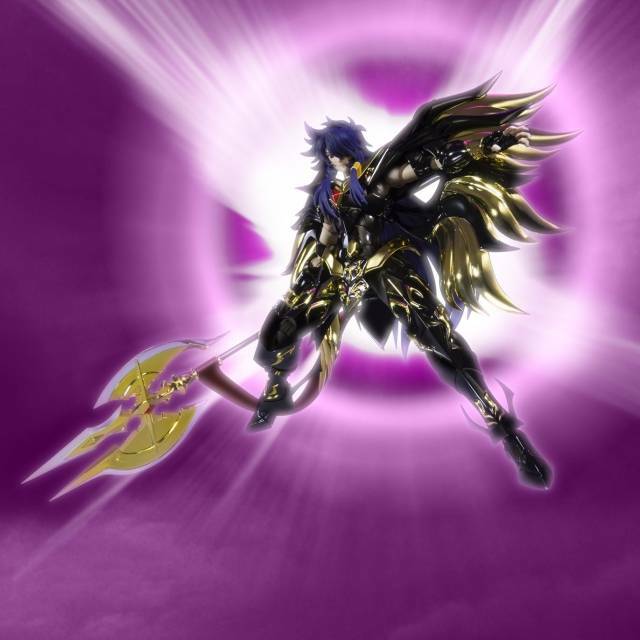 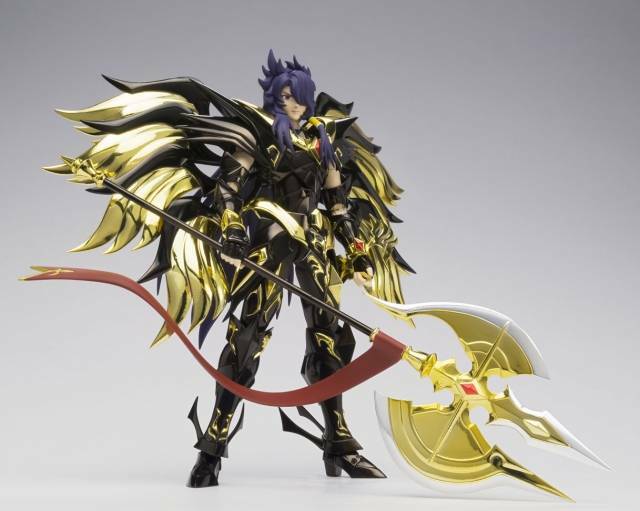 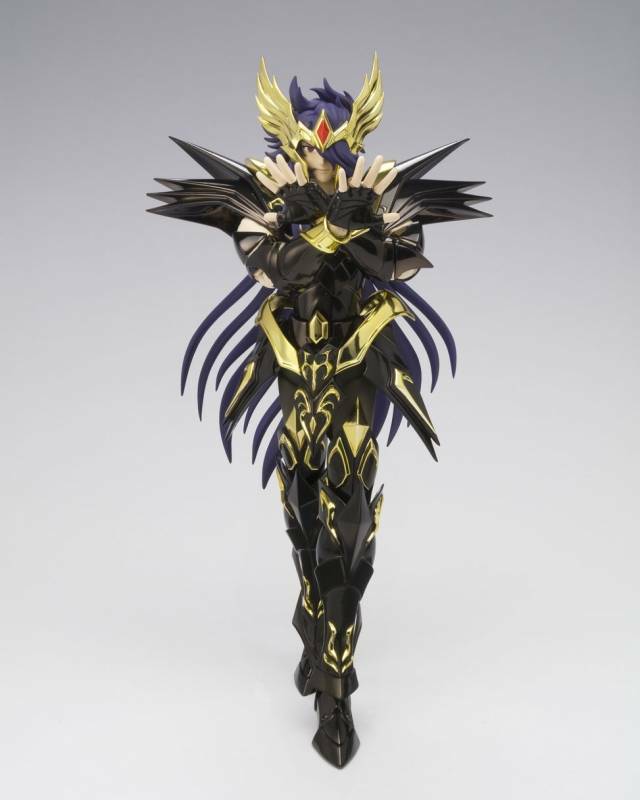 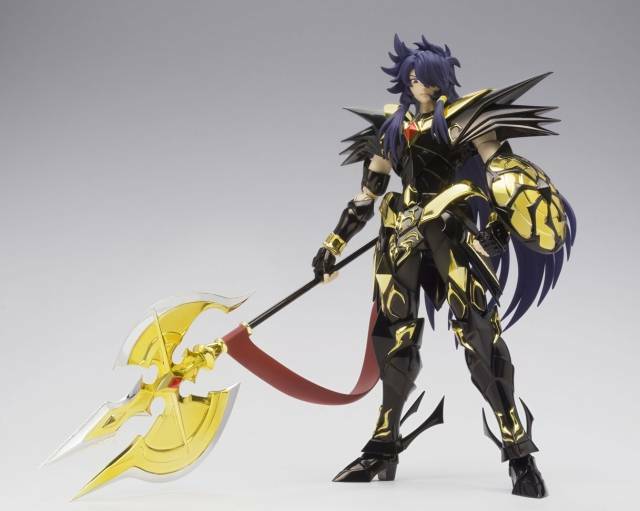 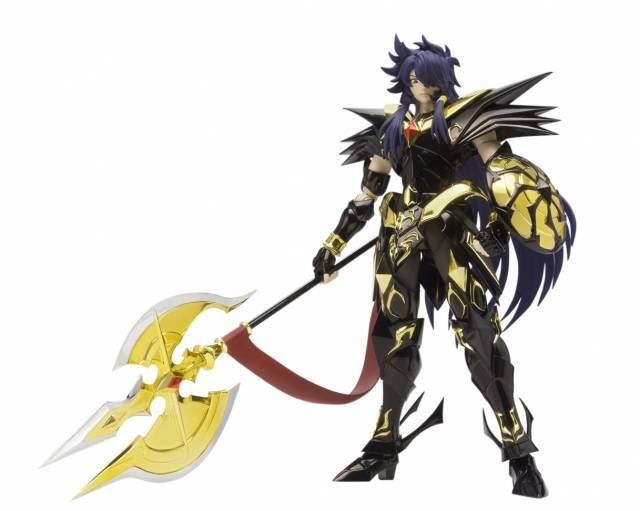 The final enemy in the Saint Seiya: Soul of Gold anime joins the Saint Cloth Myth EX series: Loki, false god of Asgard! 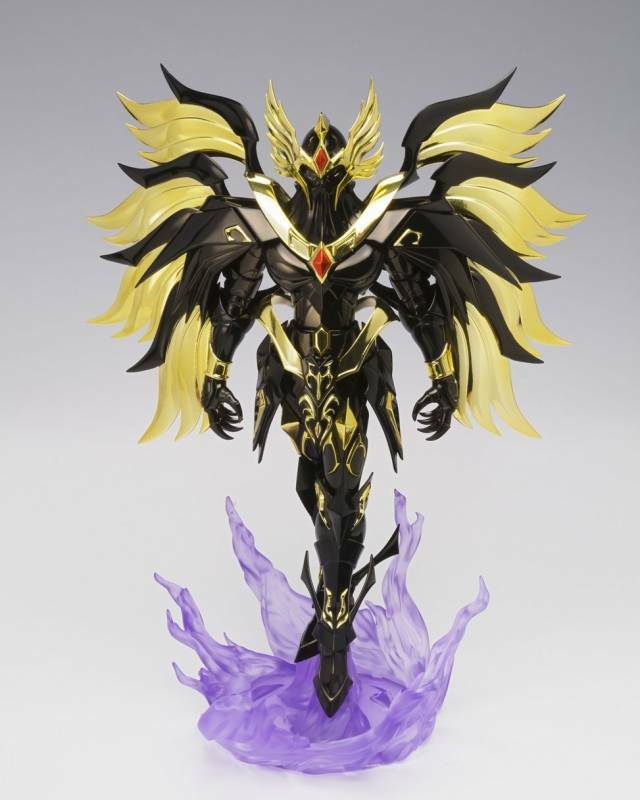 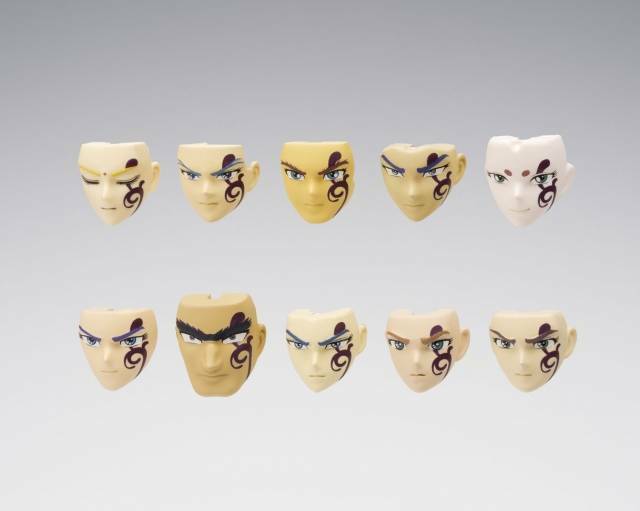 Loki's stunning black and gold-chrome robe transforms into an impressive "object," while four optional expression parts let you replicate him as he appeared throughout the anime series. 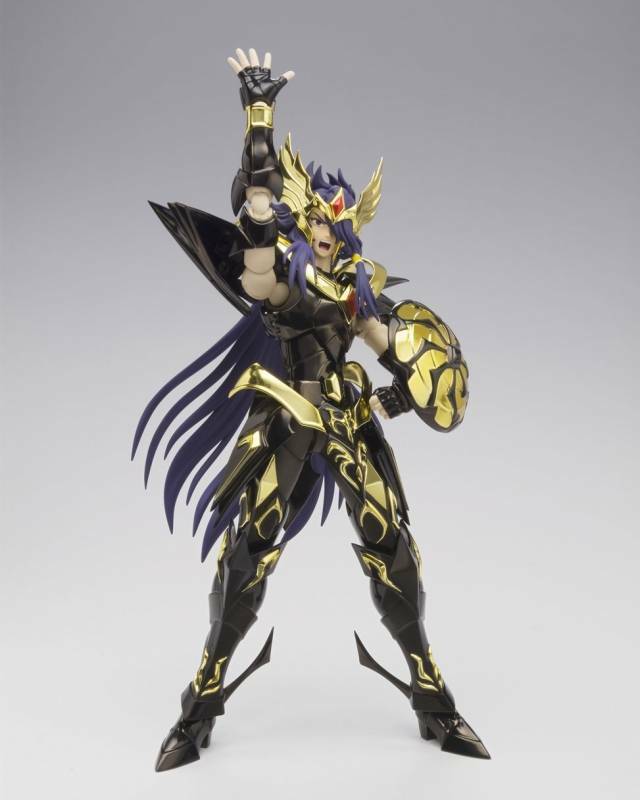 The 180mm figure includes Loki's robe set, three optional expression parts, an optional hair set, five types of optional hands (L/R), a spear, a set of shield parts, wingless back parts, "object" support frame, saint chart, and a bonus of 10 Einherjar facial expressions for the other saints. 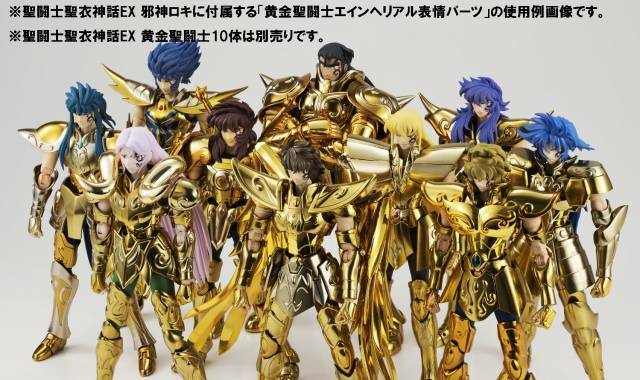 Other figures shown for display purposes, sold separately.